Industry experts at KBB.com named the 2014 Honda Accord Hybrid (http://automobiles.honda.com/accord-hybrid/) and the 2014 Honda Civic Natural Gas (http://automobiles.honda.com/civic-natural-gas/) to their annual list of the 10 Best Green Cars. The editors at Kelley Blue Book were impressed by the Accord Hybrid's superb driving experience and class-leading fuel economy ratings and by the Civic Natural Gas' use of a domestically sourced, clean-burning fuel. "For customers looking to purchase vehicles that have low CO2 emissions, Honda has two great options on KBB.com's list—the fun-to-drive, fuel efficient Accord Hybrid and the Civic Natural Gas powered without a drop of gasoline," said Steven Center, vice president of the Environmental Business Development Office at American Honda Motor Co., Inc. "This recognition from Kelley Blue Book validates the efforts of Honda engineers who for decades have continued to work towards our goal to leave 'Blue Skies for our Children.'" The 2014 Honda Accord Hybrid is designed to deliver outstanding fuel efficiency and fun-to-drive performance and, with a 50 miles per gallon EPA city fuel economy rating1, it has the highest city mpg rating of any four door sedan. The Accord Hybrid's two-motor hybrid system, part of an expanding lineup of Honda Earth Dreams Technology™ powertrains, seamlessly blends electric-only, hybrid and engine drive modes along with powerful regenerative braking to provide responsive and efficient performance in a wide range of driving situations. KBB.com's honor adds to the growing list of prestigious awards for the Honda Accord Hybrid that include being named About.com's "Best New Cars of 2014" and Green Car Journal's Green Car of the Year. The Accord Hybrid also earned a TOP SAFETY PICK+ rating by the Insurance Institute for Highway Safety (IIHS) (when equipped with the available Forward Collision Warning system) and a 5-star Overall Vehicle Score by the National Highway Traffic Safety Administration (NHTSA)2. 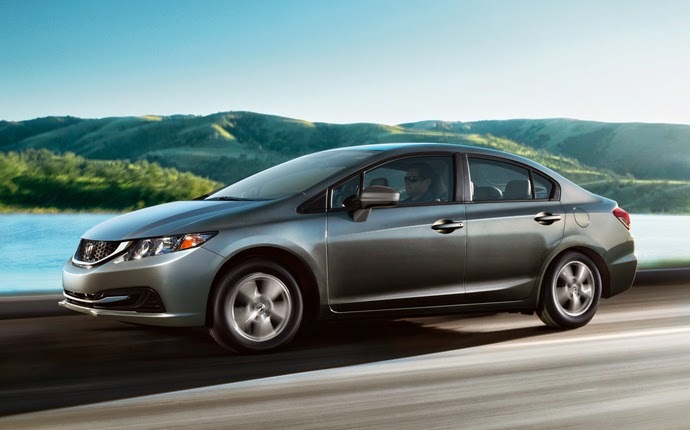 Also earning a spot on KBB.com's list, the Honda Civic Natural Gas has a combined EPA fuel economy rating of 31 mpg1‡ and an estimated fuel cost savings of up to 40 percent compared to a typical gasoline-powered compact car. The Civic Natural Gas, powered 100 percent by natural gas, can be refueled in a matter of minutes, much like a conventional gasoline-powered car. 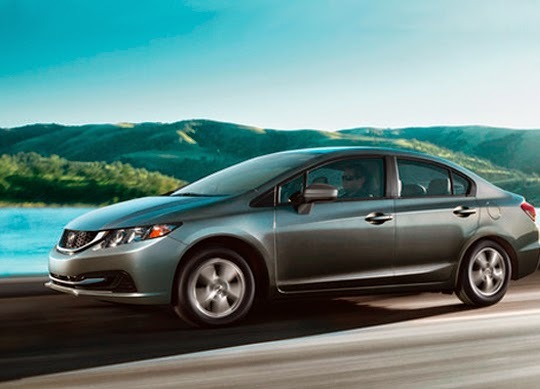 New for 2014, the Civic Natural Gas Leather Navi model gains additional premium features such as leather seats, heated front seats, heated side mirrors and a six-speaker audio system. The Civic Natural Gas' standard interior has also been upgraded for 2014 with more premium seating materials and door panel trim. For more information about KBB.com's 10 Best Green Cars of 2014, please visit http://www.kbb.com/car-reviews-and-news/top-10/best-green-cars-2014/. Honda's diverse portfolio of alternative fuel vehicles has included numerous technologies to improve fuel efficiency and reduce CO2 emissions including the first EV leases in California (1997 Honda EV Plus), the retail introduction of America's first hybrid (1999 Honda Insight), delivery of the first fuel-cell electric vehicle in the U.S. (2002 Honda FCX), five generations of the Civic Natural Gas (first introduced in 1998) and the first gasoline-powered vehicles in the hands of consumers to meet stricter emissions standards. Honda also has led the Union of Concerned Scientists' (UCS) rankings of overall vehicle environmental performance since 2000, and a Honda vehicle has been included on the list of America's greenest vehicles from the American Council for an Energy-Efficient Economy (ACEEE) for the past 16 years. 1 Based on 2014 EPA mileage ratings. Use for comparison purposes only. Actual fuel mileage will vary depending on driving conditions, how the vehicle is driven and maintained, lithium-ion battery age/condition, and other factors. Bend it like Obama. The Commander-In-Chief was just in Japan for a state visit, and his trip took him to a science expo, where he played a bit of soccer with Honda's latest ASIMO robot. The entire scene was captured on video, and showed the innovative robot as it ran, hopped and kicked a soccer ball to a bemused President Obama. ASIMO had a number of upgrades ahead of its meeting with the president, which were originally shown off to the crowds at the 2014 New York Auto Show. These tweaks to the 110-pound robot included a number of changes in both its upper and lower body to improve stability, speed and balance. Although not shown in this video, Honda claims the lower-body upgrades allow ASIMO to climb faster and more smoothly than ever before. Its hands are more dexterous and expressive, as well, while new sensors give it an even better sense of touch. Before ASIMO smoothly and effortlessly jogged across the stage, the robot and the President had a brief chat. According to The Wall Street Journal, Obama later told students at the Miraikan Science Expo in Tokyo that ASIMO and the other robots at the fair "were a little scary. They were too lifelike." As a further extension of its growing commitment to grassroots racing in North America, Honda announced today that it is making a major commitment to the 2014 running of the legendary Broadmoor Pikes Peak International Hill Climb, as both a sponsor and race participant, with plans to field products in seven distinct race classes. In addition, Honda will be working with the AMA and the Pikes Peak sanctioning body on improvements which will provide new levels of safety to the Motorcycle / ATV / UTV / Sidecar competitors. American Honda Motor Co., Inc. will return as the Partnering Sponsor for the 2014 Broadmoor Pikes Peak International Hill Climb, the second time the company has participated as a corporate sponsor of the legendary race event. The 92nd running of the Broadmoor Pikes Peak International Hill Climb will take place on Sunday, June 29. In addition, Honda Power Sports will be the official ATV / UTV of the event, showcasing its latest products to support the sanctioning body. "Pikes Peak presents us with a unique opportunity to showcase Honda's diverse product lineup and to energize Honda fans around the world, as we work to further strengthen Honda's presence in racing at all levels," said Art St. Cyr, president of Honda Performance Development, the racing arm of American Honda. "Our associates will be working hard between now and Race Day to prepare this diverse field of race vehicles and showcase the Honda Racing Spirit." This year also represents the first time a competitor at Pikes Peak has worked with the sanctioning body to improve overall safety at the historic event. Showcasing its global commitment to safety, Honda has worked with the AMA and the Pikes Peak sanctioning body to implement the race-proven technology of AirFence Provided by RoadRacing World Action Fund on key corners of the course. The AirFence has been successfully used in professional motorcycle racing worldwide and promises to enhance the 92nd running of the Pikes Peak hill climb. With support from Honda's North American R&D and motorsports companies – Honda R&D Americas, Inc. and Honda Performance Development, Inc. – the company will campaign a broad range of Honda and Acura vehicles, as well as Honda motorcycles and ATVs. Honda will showcase its diverse range of fun-to-drive/ride products and will field products in seven race classes, building upon the unprecedented level of involvement in 2013. Along with vehicles developed and piloted by Honda's North American associates under the banners of Honda Performance Development (HPD) and Team-Honda Research (THR), Honda is also supporting 2011 Pikes Peak Rookie of the Year and second-place overall finisher Romain Dumas in his own entry of a Honda-powered Norma RD Limited prototype chassis in the Unlimited class. As a further extension of Honda's sponsorship effort, Honda Power Equipment will be supporting race operations, with Honda generators providing electricity and light to the pits and staging area. Honda Power Sports will also be providing Honda ATV / UTV products to support the sanctioning body during race week. Honda has competed in the Broadmoor Pikes Peak International Hill Climb on a less ambitious scale in the recent past. 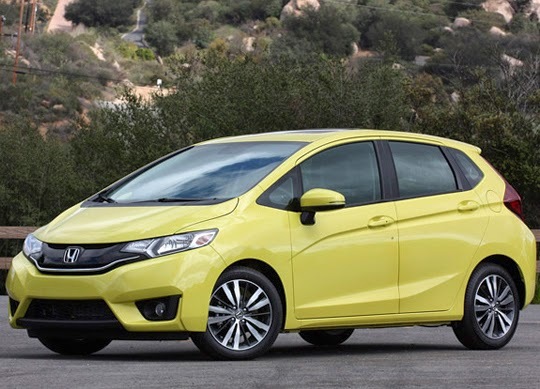 In 2011, Honda campaigned a Fit hatchback that was built and piloted by Honda engineers from North America. 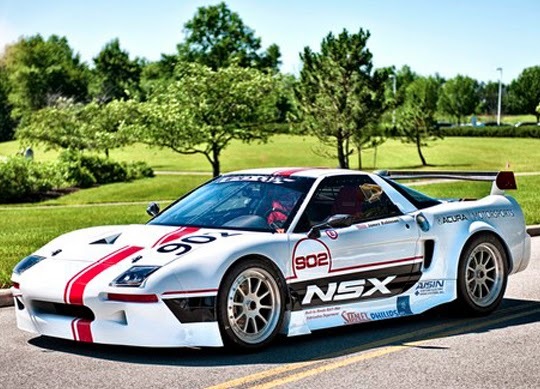 In 2012, the company fielded an Acura NSX powered by an ALMS P2 twin-turbo V-6 engine supplied by Honda Performance Development (HPD), and outfitted with an ex-Le Mans body and wide-body kit, with support from members of the Ohio-based Honda of America Race Team (HART). Prior to that, Honda set records in EV class in 1994 and 1999 with the Honda EV Plus. In 2013, Honda competed in 10 distinct racing classes with 11 vehicles – the most of any single O.E.M. in the history of Pikes Peak. At this event, Honda is continuing its efforts to showcase its racing spirit and its commitment to safety. This year also marks the first time Honda will be supporting Romain Dumas with Honda power to challenge the Unlimited class. Honda established operations in America in 1959, and now employs more than 26,000 associates in its U.S. sales, R&D and manufacturing operations with a capital investment of more than $12.5 billion. Based on its longstanding commitment to "build products close to the customer", Honda operates 14 major manufacturing facilities in North America, producing a wide range of Honda and Acura automobiles, automobile engines and transmissions, Honda all-terrain vehicles, and power equipment products such as lawn mowers, mini-tillers and general purpose engines, using domestic and globally sourced parts. Seven Honda auto plants in the region, including four in the U.S., have the capacity to produce 1.92 million automobiles each year. In 2013, nearly 95 percent of the Honda and Acura automobiles sold in the U.S. were produced in North America. HPD was founded in 1993 as the performance arm of American Honda, to spearhead the company's entry into Indy car racing. No other manufacturer has matched Honda's success in Indy cars, which includes 205 race victories, 15 drivers' championships, six manufacturers' championships and nine consecutive Indianapolis 500 victories (2004-2012). In 2013, Honda powered veteran Scott Dixon to four race wins and the 2013 IZOD IndyCar Series championship; and Tristan Vautier to series Rookie of the Year honors. HPD's prototype racing efforts have resulted in more than 60 victories and multiple American Le Mans Series championships. The company's sports-car racing debut in 2007 at the 12 Hours of Sebring marked the first win for HPD's LM-V8 engine and the first for a Honda racing engine designed and developed outside of Japan. HPD won the LMP2 title in the inaugural 2012 World Endurance Championship and has twice won the LMP2 category at the 24 Hours of Le Mans since 2010. In 2013, HPD and Honda again swept the LMP1 and LMP2 manufacturers', engine, team and drivers' championships in the American Le Mans Series; while HPD-equipped Strakka Racing claimed the LMP1 class win at the 24 Hours of Le Mans for private team entries. HPD participates in competition on both two wheels and four. The company offers a complete line of race engines for cars from grass roots to pinnacle; for professional, amateur and entry-level racers. For more information about HPD and the company's racing and Street Performance product lines, please visit http://hpd.honda.com. Wait, wait, wait. We promise that there's something to do with cars in this story. Really, there is. It also, though, features some basketball antics. And the entire thing is possible thanks to the magic that is the GoPro. Strategically situated, the little cameras capture David Kalb, a master when it comes to making trick basketball shots. This time, he's showing just what he can do when launching balls through the sunroof of a Honda Civic. That includes dribbling and sinking a layup (although we think he may have traveled when driving to the net). With plenty of vehicles that sit atop several lists and rankings of the most fuel efficient cars and SUVs in the auto industry, Honda has let it be known that they hope to be a leader among green automakers, particularly in an era where there is increased concern both for rising gas prices and the well-being of the environment. 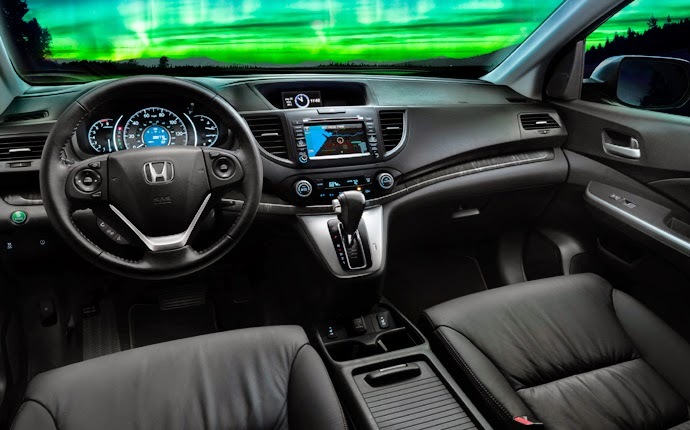 Some of the vehicles that we sell here at Pacific Honda, however, go above and beyond in terms of their green efforts, so we were very happy to see that two of Kelley Blue Book’s “10 Best Green Cars” this year were Honda models: the 2014 Honda Accord Hybrid and the 2014 Honda Civic Natural Gas. Maybe the rumors of the CR-Z's death have been exaggerated. Honda has just released the first teaser of a new concept that it plans to debut at the Beijing Motor Show at the end of April. It shows off a sporty looking coupe that looks like the child of a CR-Z and Hyundai Veloster. 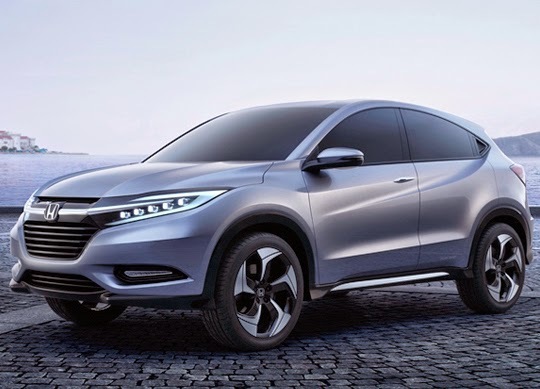 However, the concept looks to be for the Chinese market, as it's a joint proposal with one of its domestic partners there, Guangqi Honda Automobile. Unfortunately, we don't have any other details about the concept yet – not even a name. The teaser also doesn't give a very good indication of the car's size. 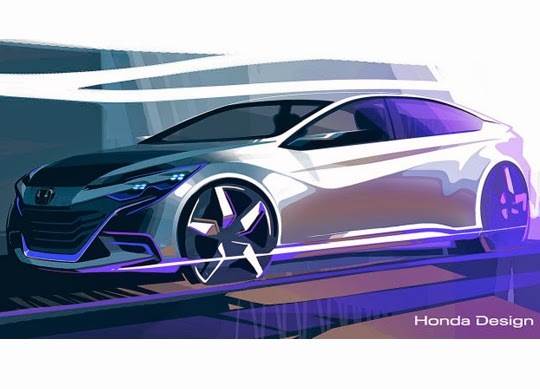 It appears to be roughly the size of a small coupe, and if Honda hadn't already tried the idea with the CR-Z, you could almost see it as a modern CRX, but it could be a little bit larger, too. 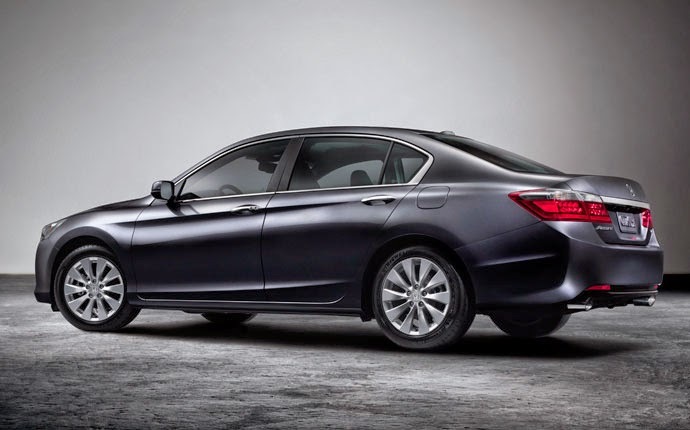 In addition to the coupe concept at the Beijing show, Dongfeng Honda will premiere the concept for the next Spirior, which is the foreign version of the Accord. Guangqi Honda will also bring a mid-size SUV and the third-generation Fit. Acura will also be there and will have both the NSX Concept and a model of its powertrain. Scroll down for the full release about everything Honda will show in China. BEIJING, China, April 8, 2014 - Honda Motor (China) Investment Co., Ltd., a wholly-owned Honda subsidiary in China, today announced plans to exhibit the world premiere of two new concept models as well as new production models for the Honda and Acura brands at the 13th Beijing International Automotive Exhibition (Auto China 2014, press day: April 20, 2014, public days: April 21-29, 2014). Jointly with Guangqi Honda Automobile Co., Ltd. and Dongfeng Honda Automobile Co., Ltd., Honda will exhibit the world premiere of a concept model for a new model exclusively developed for the Chinese market. Also on display will be the world premiere of a concept model for the all-new Spirior, a product of Dongfeng Honda, as well as the China premiere of a new middle-class SUV and the third-generation Fit, which will be sold by Guangqi Honda. Once a year, Kelley Blue Book puts out their Brand Image Awards, which recognize auto brands that American consumers consider to be both reliable and enjoyable to own. 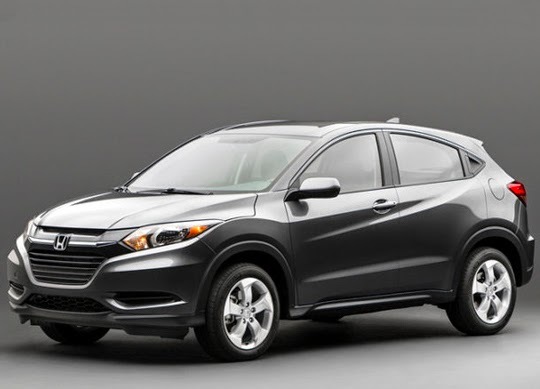 In other words, if all automakers got together and gave out superlatives in some sort of car yearbook, the 2014 award for “Most Popular” would go to Honda, as it was given the best scores from the 12,000 people that were polled in order to gather information for this year’s awards. Twenty million of anything is a lot. Collect 20 million pennies and you’ve got yourself $200,000. Sell 20 million albums and you’ll find yourself among a very small group of legendary musicians. Stringing together 20 million days would take almost 55,000 years. In short, it’s not a number to scoff at. In reality, it’s a number to celebrate, especially when it pertains to auto sales. Late last month, Honda actually manufactured its 20 millionth vehicle in the United States, a process that started over 30 years ago. Back in 1982, the first Honda Accord was manufactured in Marysville, Ohio, and that particular model hasn’t seen its momentum slow down since. Honda has been working on its high-performance Mean Mower for a while now. In a recent attempt to take the top speed title, it didn't make its 130-miles-per-hour top speed target, but it still managed to set a new Guinness World Record has the world's fastest lawnmower at 116.57 mph. While the video certifying the run was uploaded to YouTube on April 1, this is no prank. The Guinness run was made on March 8 at the Idiafa Proving Ground in Tarragona, Spain. To claim the record, the lawnmower had to run through a 100-meter speed trap, and it had to make two passes in opposite directions within an hour with the average taken between them. Guinness also specifies that to take the title the vehicle must still be able to cut grass and look like a lawnmower. The speed was still plenty to beat the previous record of 96.529-mph set by Bobby Cleveland on a Snapper race mower at the Bonneville Salt Flats in September 2010. The Mean Mower is based on a Honda HF2620 Lawn Tractor that's been modified by British Touring Car Championship squad Team Dynamics. It has a newly fabricated chassis from 4130 chromoly steel and packs a 1.0-liter engine from a Honda VTR Firestorm motorcycle with a six-speed sequential gearbox. The engine produces 109 horsepower and 71 pound-feet of torque – enough power to reach 60 mph in around four seconds. The suspension and wheels come from an ATV, and the cutter deck has been remade in fiberglass. The grass bag holds the fuel tank, oil cooler and secondary radiator. The engine no longer actually cuts grass. Instead, the blade is driven by two electric motors. HONDA'S 1000CC 109HP MEAN MOWER HAS BROKEN A GUINNESS WORLD RECORDS™ TITLE FOR THE FASTEST LAWNMOWER! It's official – Honda's 1000cc 109HP Mean Mower has broken a Guinness World Records™ title for the Fastest lawnmower! The successful GUINNESS WORLD RECORDS attempt took place under the watchful eye of a GUINNESS WORLD RECORDS Adjudicator at the IDIADA Proving Ground, in Tarragona, Spain, on Saturday 8th March 2014. Behind the wheel was Piers Ward of BBC TopGear Magazine, who had previously achieved a fastest speed on Mean Mower of 87mph. At around 4.20pm CET on the 2000km North Straight at IDIADA, Piers eclipsed the previous record of 87.83mph, set in May 2010. The speed was measured through a 100 metre speed trap, overseen by official timers, Timing Solutions Limited. To meet Guinness World Records regulations the mower had to record the same run, in both directions, within an hour – with the average speed taken of these two runs. Additionally, to qualify for the record it needed to cut grass and to look like a lawnmower; both of which it did successfully. With all of these criteria met, the GUINNESS WORLD RECORDS Adjudicator officially declared the success of the record attempt just before 6pm CET on Saturday 8th March. Ellie Ostinelli, PR Communications Manager for Honda (UK) comments: "The original brief for Mean Mower was to create the world's fastest lawnmower – and now it officially is, by some distance! We are all delighted to hold a GUINNESS WORLD RECORDS title and we'd like to thank everyone who was involved in what has been a challenging yet incredibly exciting project." The idea for Mean Mower was to demonstrate Honda's sprit of innovation, its motor sport heritage, and that it makes more than just cars. Mean Mower was designed and built in the UK by Honda (UK)'s British Touring Car Championship (BTCC) partner, Team Dynamics. The team re-engineered a Honda HF2620 Lawn Tractor from the ground-up, adding an all-new fabricated chassis, custom-made from 4130 chromoly, to provide a strong, safe but very light platform. A 1000cc engine from a Honda VTR Firestorm was used, along with a bespoke suspension and wheels from an ATV. Every effort was made to retain as much of the look of the original mower as possible. The cutter deck was custom-made in fibre-glass, to reduce weight, while, in a stroke of pure genius, the grass bag provides a happy home for the fuel tank, a high capacity oil cooler and a secondary water cooling radiator. Based on feedback from Honda Yuasa Racing drivers, three times BTCC champion Matt Neal and 2012 champion Gordon Shedden, the mower features a custom-made paddle shift six-speed gear system. Additionally it has a custom-made Cobra sports seat, a Scorpion exhaust system and a steering rack taken from a Morris Minor. The result of this remarkable feat of engineering is a lawn mower set-up and geared to achieve a top speed in excess of 130mph, weighing just 140kg, producing 96Nm of torque, an incredible PTW ratio of 532bhp/tonne; and an estimated 0-60 of just four seconds. Safety was paramount to the project, so every effort has been made to make the mower stable and secure. To achieve optimum balance ATV wheels have been used – ideal because ATV racing is held on rough off-road tracks. Super-soft tyres ensure optimum grip and excellent handling on the tarmac. Additionally, every effort was made to use Honda parts, where possible, including brakes and several motorcycle components. Almost everything else has been custom-made by Team Dynamics and its partners. To read the full story, head to BBC TopGear Magazine, available in print, online and for iPad. To keep up with #meanmower - before it goes breaking another record - and all other Honda activity, check out our Facebook and Twitter pages so you don't miss out.